Phew! What a weekend! Shattered doesn't even begin to cover it. 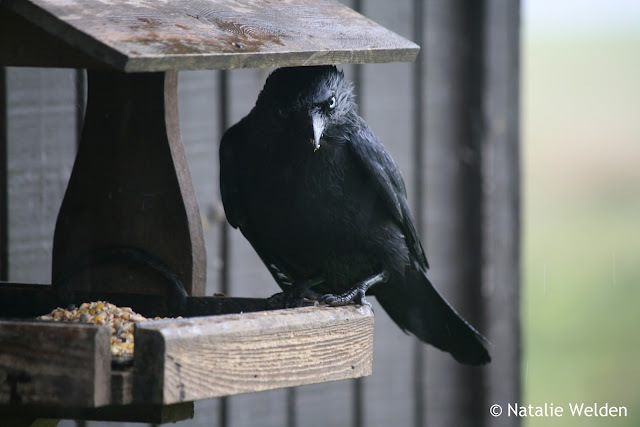 A couple of quick emails from the reserve have seen me taking on 3 extra days this month (not bad for a newbie!). Friday and Saturday at the Ayr Country Show and Sunday on the reserve, brilliant fun! My "weekend" started at 6 am on Friday morning, getting ready to go help Rita set up the stand (which basically meant Rita capably organised everything, and I helped shift stuff from the car and basically got under her feet. And it was FREEZING. We shivered away as the school kids trooped past and grabbed the occasional coffee and hot soup where we could! The Saturday I got a lovely lie in until 7:30 as I was picking up extra stock from the reserve and we did a steady trade in fluffy owls and pin-badges. With me occasionally disappearing to find things to stuff my face with or visiting the excellent Shaw's Meats stand (I ended up buying venison stew mix, wood pigeon breast, wild boar salami, biltong, and ostrich, kangaroo, springbok and vension burgers!). Our stand was handily next to one from the Great Grog Company, who sent us away with a few nice taster bottles. Both of these companies deliver and I can heartily recommend their wares! Attempting to convince a nice Irish man that Buzzards aren't all that bad! Sunday it was slinging it down. And my attempts at getting any good pictures on the reserve were pretty much thwarted. 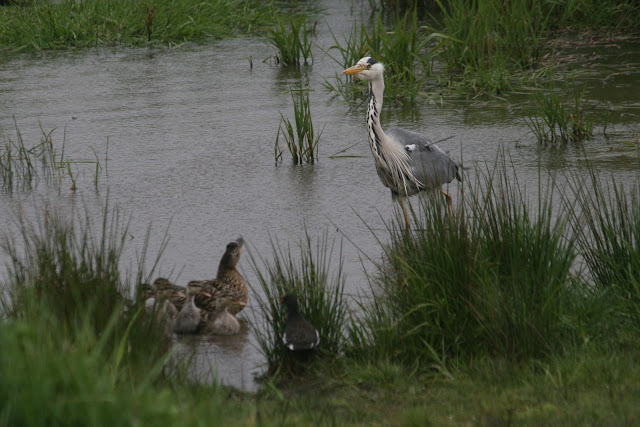 Everything looked damp and miserable, however, there was high drama on the pond when a marauding heron went for our teenage ducklings (a big mouthful for any predator). 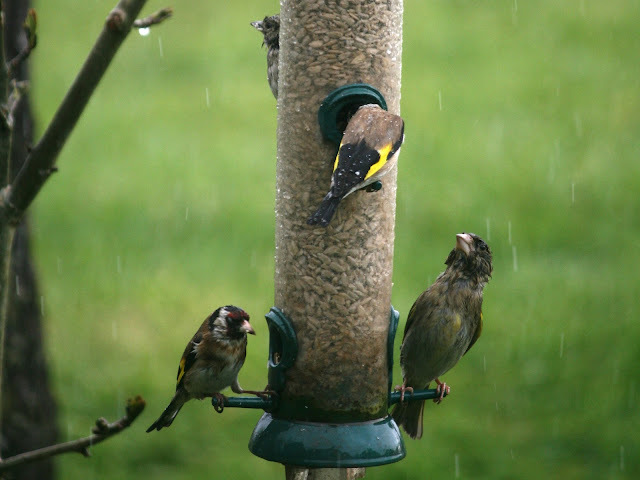 The rain kept the centre pretty quiet and allowed us to get on with moving some stock, but the birds came to the feeders regardless, looking for an easy (if a little damp) meal. So remember guys - even if it's raining - come in and say hello, get yourself a hot chocolate, and enjoy some comfortable birding! Happy spotting! "These one's are wet, I want his..."